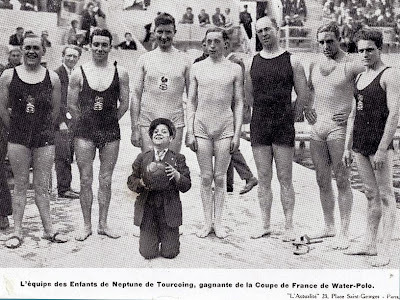 The team of "Enfants de Neptune de Tourcoing" winner of the Cup in France in 1920. 1923: Water Polo match in Blackpool. 1984, Los Angeles: The silver team of USA.